Stacy M. Sadove, Esq., is a founding Partner of Fitzgerald & Sadove PLLC. She has practiced in the area of education law and special needs planning for over six years. 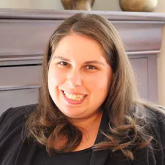 Ms. Sadove assists families with special needs using a holistic approach to determine the necessary benefits and estate planning tools required to help them succeed. As an effective advocate, she helps students to obtain an appropriate education and necessary related services available under the law. She is well versed with all areas of education law from advocacy, through impartial hearing and subsequent appeals. As a mother of a child with a speech language impairment, she also has a special affinity for working with families to navigate the early intervention process. She is a strong advocate regarding early evaluation and advocacy for services. Additionally, Ms. Sadove assists families with managing and obtaining government benefits through proper special needs planning, including counseling with regard to OPWDD, Medicaid and maintaining benefits if in receipt of a settlement. Our practice focuses on special education, special needs planning, trust and estate planning, guardianship and benefits advocacy. We work with families with special needs using a holistic approach to determine the necessary benefits and estate planning tools required to help them succeed. We advocate for appropriate educational programs and services for children with disabilities, as well as assist parents and students in disciplinary hearings. We also assist families with managing and obtaining government benefits through proper special needs planning, including counseling with regard to OPWDD, Medicaid and maintaining benefits if in receipt of a settlement.